As times are changing, laws are changing and evolving, too. In 1910, we did not have seatbelt laws, no Sarbanes-Oxley, and no piracy regulations. We also didn’t have as many cars on the road, white collar crimes or music for the taking at our fingertips. With new technological advances and an emerging society, legislators are continuously forced to keep up with the times. 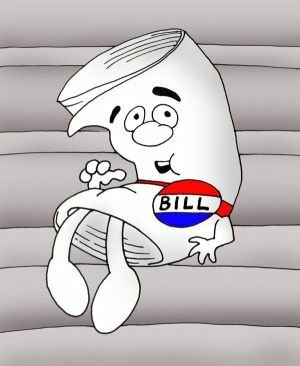 Incident and circumstance require the drafting bills to counter the effects of progress. Whether new or old, laws are what force the majority to conform to the minority. We must create regulation when portions of the population step outside the common ground....and sometimes common sense. Most recently, many local and state governments have implemented texting while driving laws. These laws come behind the rise in accidents and fatalities from unfortunate multitasking. The feds are also putting tighter reigns on our financial markets; a great necessity in these tough economic times. Just the same, we are seeing tighter regulation on intellectual properties (creations of the mind, i.e. music, computer technologies, artistic impressions, etc.). So what’s next. Based on the constant change in our world, what will we be forced to crack down on in the future?